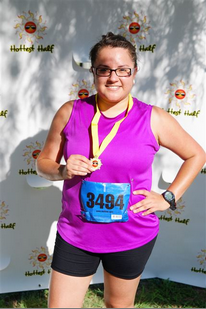 I ran The Hottest Half and (10k) last week, my second year in a row. I felt more confident this time around since I was familiar with the course and had better prepared myself for the event. I had a really great start. My music playlist was on point. I had properly stretched. I was pumped! 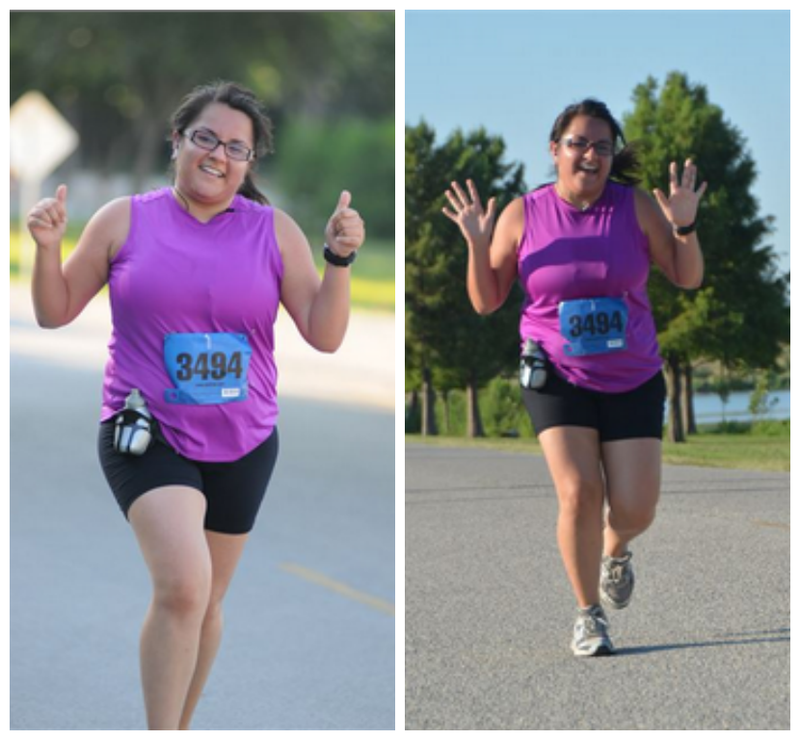 For the first 3 miles, I was running ahead of my usual pace per mile by 45 seconds. By the turn around point, little over 3 miles, I was happy how good I was keeping up. I just knew I would finish ahead of last years time. Around mile 5 I started to slow down. I knew even if I walked for a bit, I could still beat last year time. 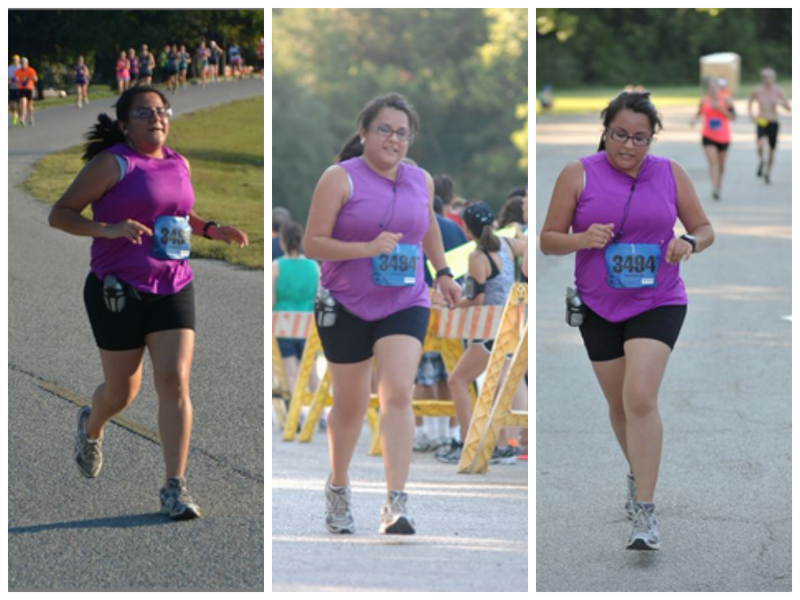 It was during that last mile that I just wanted to give up. I wanted to cross the finish line, yet running was the last thing I wanted to to. The last mile is always a tough one. It's such a mental challenge. I always get caught off guard and end up with really crappy race pictures. This year I was able to spot the camera guy ahead of time. So every time I was about to approach him, I would smile and give 2 thumbs up. I would hold that pose for like 5 seconds because I wanted to make sure he got it. I looked so dumb.... What do you think? Better? 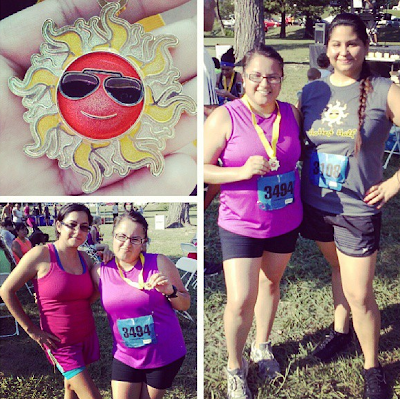 I ended up finishing 8 minutes ahead of last year time! More than a minute ahead per mile! 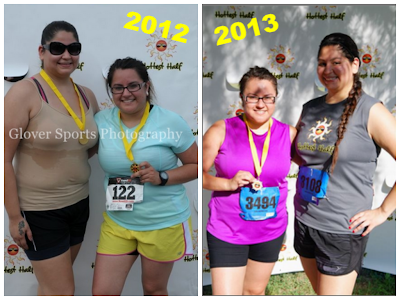 This event also marked one year since my best friend and I started running together. We've come a long way! In 2012 we were just getting into the game and look at us now? Looking like actual runners. My sister came to see me run, so that was pretty cool too. Until next year!